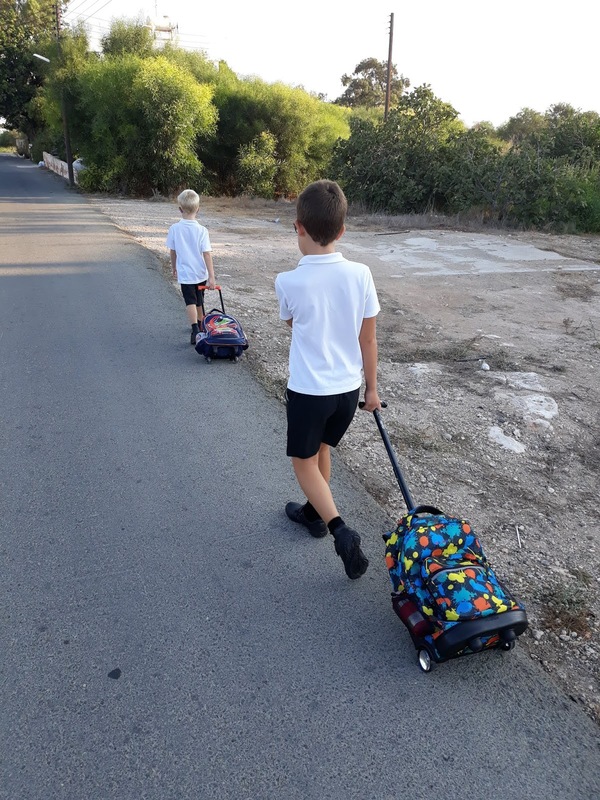 It's the start of a new era in our family, not only is it back to school time which is always a big change after 3 months off but this year both boys are in the same school for the first time! Louka has been very excited to go and has taken it all very well so far, this morning was the first sign of reluctance - saying 'Well I don't really want to go to school today' but that was as much as we got. Leo laughed and said 'You don't get to choose!' and he got on with it. They seem to be very happy so far being together, and its made school runs much easier. No more debates on who to drop off or pick up first, and no more driving! As school is just down the road we are now walking which I am really enjoying and a great start to the day. I could write more but after years of oversharing online I'm becoming increasingly reluctant to, maybe I'm getting older and wiser, maybe it's because I have a much wider selection of facebook 'friends' and I don't want to bump into someone in Lidl whose name I can't remember but knows what I did last week. I've been thinking for some time about what I write about the boys on my blog, like several other 'Mummy Bloggers' from back in the day and that as well as other commitments these days is why I write so infrequently now. I think about closing it, but can't quite bring myself to write a 'final' post. Everytime I write a post I get a renewed enthusiasm and decide I will start regularly again. I struggle with the idea of taking the blog offline completely or leaving it here in case I change my mind, I'm still not sure. Maybe this 'new era' is the time to move on.